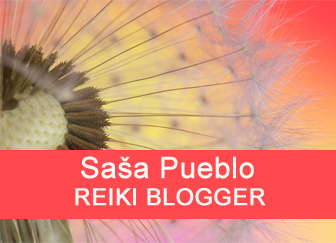 As a good Reiki master I am interested in Reiki history and I wonder: Where Reiki started? Where was developed into peak shape? Was original tradition maintained or disappeared? Does anybody keep in nowadays historic Reiki forms? Lots of questions appear and we are looking for appropriate responses on them. Many Reiki masters on the internet connect Reiki with Japan and only few talk that Reiki has been developed by Chinesse buddhists. Many are not interested in this. And they immediately refer to Mikao Usui as founder and the person who spreads Reiki among common people of Japan. And then here is Chujiro Hayashi who left Japan and consecrated first Japan woman outside Japan – Hawayo Takata who further consecrated into Reiki system more then 20 individuals mainly from America. And this is clear to everyone and there is no problem. After the death of Hawayo Takata arises arguments who is the current Reiki holder in line of Reiki Mikao Usui. Japanese culture has always attracted me and after many years I´ve fairly enough understood Japanese mentality. A story of the great master of Reiki Mikao Usui somehow did not fit into Japanese tradition. Spirituality and spiritual traditions in Japan are not as open as in Europe or even India. We know closed nature of Japanese monasteries as bearers of spiritual quality. It´s common that if spiritual values are given to ordinary people, then always happen the same scenario. Quality adapts to the level of mass consumers. But this is not the case of Japanese spirituality which represent samurais and schools in Japanese monasteries. Samurais and their traditions are spiritual journey for selected individuals. Tradition of monasteries and samurais was always superior to ordinary Japanese and they have never touched spirituality of samurais without special selection. Samurai has always been accompanied by unique thing and it has been a samurai sword and grinded meteorites. And there were also other indirect indications that glorification of Mikao Usui as a Reiki master is not quite right. Of course, we have to prove our statements. We can not have only feeling that someone has adjusted history of Reiki as he has felt. And therefore we have decided to investigate bone remains of all who had something in common with Reiki system. We did such research with oracular techniques and sensible tools for treatment of burial places samurais and other Reiki persons. We can talk about the sensible ability to work on long distances through Reiki channel to remains in graves. Something like anthropological sorcery. Thus our bio tool for Reiki investigation. 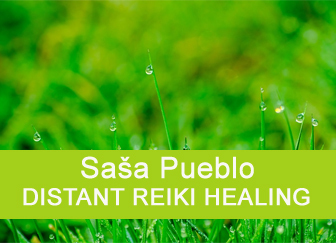 I would like to introduce myself and the team of sensibles, psychics and shamans who decided to explore historical reference of Reiki. And it does not matter if they called it Reiki or somehow else. I have worked in the field of esoteric over 20 years and along with my esoteric friends, we have decided to explore spirituality all over the planet Earth, but also in the space. Over this whole period we have examined each kind of spiritual expression of man from prehistoric times until today of current living spiritual personalities. Thus prophetic research has been done by extraordinary personality and trained team of about 20 people interested in esotericism. I believe that no one could be better for Reiki history research. Another condition is undoubtedly the knowledge of Japanese spirituality and Japanese mentality. We did much also in this regard. We were discovering Japan as well as its traditions determined by Japanese monasteries via Japanese internet. They say each mountain in Japan, one monastery. I am fascinated how Japanese can demolish the temple and then again rebuild it to the last dot. Videos in this direction were amazing meditation. We have been acquainted with the whole history of Japan and especially the history of samurais. We have been discovering Japanese traditional medicine, their religious festivals. For many years, we listened to their traditional music and memorable were their spiritual drums. And we also know their obsession over strange things. This would be sufficient to ensure that we are familiar with Japanese tradition and we understand well Japanese mentality even though we physically did not travel to Japan. Even if one team member was personally in Japan as a researcher and was able to convey common experiences from Japan. We have examined message of Reiki masters by oracular techniques directly in their graves. Anyone who deals with Reiki during the life creates energetic roll in the size of a tennis ball. It´s energetic object which emits something like lightning. And when we compared different graves of Reiki masters, we found significant differences in emanations of those rolls. To our surprise, they were retained even after physical death of Reiki persons. And this is true when we consider today’s Reiki masters. Reiki disc is great evidence which level Reiki masters gained throughout history. I will publish results of this research here. And I declare that I support the truth and only the truth. I don´t have any interest to bring some science fiction fantasy here which someone could wait. DID REIKI WHICH LEFT AFTER BUDHA GROW IN CHINA? We examined in detail the history of Reiki and finally we ended up in China, although the tradition of Reiki in China basically disappeared and preserved exclusively in Japan. Tendai school and its monasteries constantly maintain peak tradition of Reiki in Japan. And it seems, that there is not interest to give this heritage to the public. We understand this behaviour in Japanese tradition. Japanese tradition and spiritual Reiki healing is not intended for the public and it is the prerogative of those who are at peak levels and are able to keep it easily. Japanese school Tendai for over 1200 years can maintain this tradition and its masters have held it to this day. We scanned by prophetic techniques bone remains of their Reiki masters and everyone gained a minimum level of mountain samurai Ozunu. Of course, Reiki of this format will not be passed to anyone who requests it. Tendai school also produces lower levels of Reiki. We could say that Reiki one, two and three of nowadays level. But this Reiki passed on to pupils of Tendai school is rather to treat sick and infirm persons. Such healing traditon is practiced in Tendai monasteries. Also Mikao Usui is only the pupil of Tendai school and he is not a grandmaster of Tendai school. Our humble opinion based on oracular exploration of bone remains shows that about 260 pieces of bone remains Tendai grandmasters have such high quality of radiation which can not be compared with the power of radiation Mikao Usui and with radiation of grandmaster Ozunu who did an active Reiki Meditation on meteorites. He himself had carved meteorite sword that is not cast and metallurgically processed but hand made with help of specific ritual movements. Bone remnant radiation is up to 200 times more powerful than radiation skeletal remains of Mikao Usui who is presented as main Reiki representative. Ozunu himself lived about 1200 years before Mikao Usui. Mikao Usui died before World War II. And here comes up question who was principal representative of Reiki system itself and where Reiki started and where is still maintained. Lively form of Reiki with disc in the middle of the chest. This disc is only seen by sensible person, an ordinary person is unable to see it. Bearer of Reiki tradition is Tendai school in Japan and this school also acting as grand master. The tradition of this kind opened mountain shaman OZUNU. Oracular and psychic person is able mental connection to grave site of master OZUNU and examine the power of his Reiki disc. Such disc have every Reiki master and this disc remains in grave site after the death. Oracular perception of Mikao Usui bones confirmed the presence of the disc only in the size of a child’s head without proper radiation in all directions. And so we started to look where we find Reiki rolls of similar strength as in deceased mountain shaman OZUNU. In Japan, we have verified many burial places and we did not find higher quality of Reiki disc. 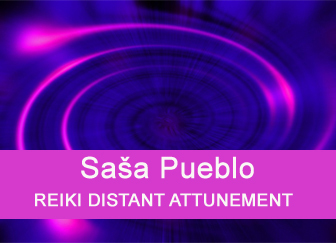 It´s logical that we started to examine potential grave sites of Reiki masters. We found ourselves in Gobi Desert in chinesse part named Taklamakan and directly in cave complex under name MO – KAO. First we tried in mongolian monasteries, but we did not find anything. So we were looking for in chinese monasteries, but we failed. And then we said that we look at buddhists operating in the desert and we were extremely successful. In this complex of caves we mentally and remotely discovered bones remains and to our surprise they have contained large Reiki discs as a human chest and their radiation flashes within 100 meters from bones of deceased buddhist. We found large number of such unique discs here. Radiation power of these discs can not in any way be compared with Tendai school or mountain shaman Ozunu. And things have become quite clear and obvious where Reiki system in its spiritual form has reached maximum. It certainly was not Japan either in the past nor in the present. They are Buddhists and their message in Diamond Sutra. And here is the opportunity for Reiki masters to copy these discs into their discs in the middle of the chest and thus connect to spiritual base of Reiki which is Buddhist cave complex in MO – KAO. In the next section I will write about Reiki discs resources inside the chest of living Reiki masters and also nowadays Reiki masters. I believe that this research have extensively contributed to the history of Reiki. At the end of quoting from wikipedia source I added what to do when you get Reiki disc which is similarly active to Reiki budhists in desert Taklamakan. Unique mountain shaman and owner of Reiki disc which has unique quality. He is dead now and despite his bones and his Reiki disc are unique. In his tomb site in Japan are his bones. Oracular remotely and sensibly could be perceived Reiki disc the size of a football and radiation similar to ball lightning. Ozunu Reiki disc is also the base for the assessment of discs other old Reiki masters. Tendai school maintains Reiki system more then 1200 years. And there were 257 Reiki masters and they still maintain the tradition of Reiki as started in China. In our examination of remains, masters from Tendai school had the largest posthumous Reiki disc with the highest level of diamond lotus sutra. Direct followers of extinction line of Reiki in China. Unfortunately Reiki Tendai school is not and will not be accessible to the public. If this would be given to the public, it would turn out badly and tradition couldn´t be retained. It is surprising how is in each tomb located Reiki disc in Ozunu quality. And it’s good example of this school and perfect transmission of Reiki on Reiki master Ozunu. 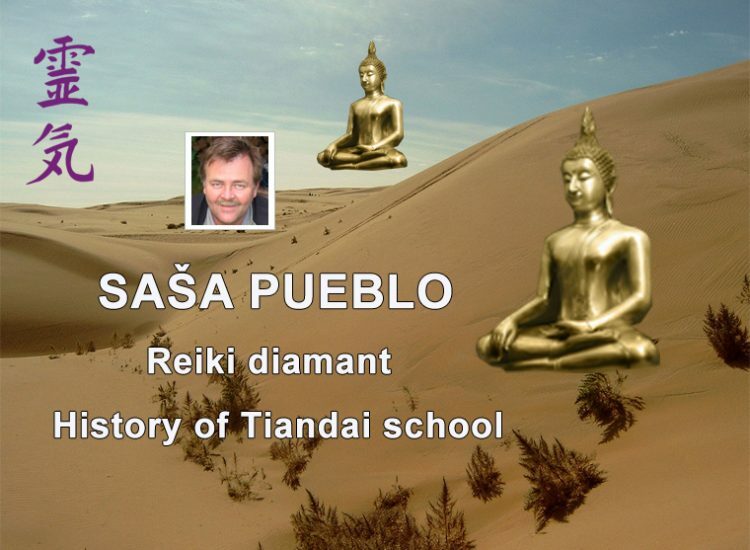 Managing Grand Master of Tendai school – (Reiki activities on meteorites). He has disc in the body at the level of master Ozunu. 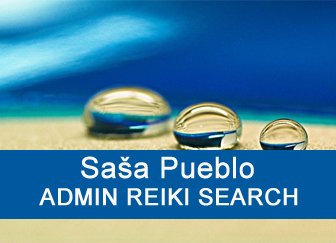 Intellectual insight into what is Reiki energy and its practical use for the treatment of spiritual and esoteric. Cult worship of the cosmos and meteorites in Japan. Specific approach of Reiki and atomic explosions in Japan and specific bone health of some Reiki masters. We do not consider Mikao Usui as founder of Reiki. Also his level of Reiki unfortunately can not be compared with the level of samurai master Ozunu. His sepulchral Reiki disc is just in size of smaller soccer ball and doesn´t show radiation as in Reiki master Ozunu. We assume that Mikao Usui dealt with meteorites and even radioactive pitchblende. It is not clear why his teacher from school Tendai didn´t consecrate him to the level of Master Reiki. He probably didn´t decide about himself so he got only healing level. Consecrated persons by Mikao Usui do not reach master level of Tendai school and even mountain Reiki master Ozunu. It’s quite logical that consecrated persons by Mikao Usui reached only the level of Reiki healing and not stunning level of Reiki master Ozunu. But we present them here. She was consecrated to Reiki by Reiki master Hayashi Chujiro – pupil and friend of Mikao Usui. He did intensive research and application of uranium extracted from pitchblende. Reiki disc in his burrial place is enriched by contact with radioactive material and thus had better curative interventions as his teacher Mikao Usui. But the level of his disc is less than a soccer ball without proper exposure. Of course, his posthumous Reiki disc is only the size of an adult fist and that is only very small size. Hawayo Takata consecrated 22 pupils. We checked discs of living and dead Reiki masters after Hawayo Takata. Unfortunatelly, Reiki discs are tiny or only on Hayashi Chujiro level. Classic weakening when it passes on and on. WIKI: Hawayo Takata – pupil of Chujiro Hayashi was the first Reiki Master, she spread Reiki to Hawaii, occasionally attended neighboring islands and American mainland where she taught Reiki. She spread Reiki to West. Virginia Samdahl (1976), Ethel Lombardi (1976), John Harvey Gray (1976), Dorothy Baba (1976), Bethel Phaigh, Harry Kuboi (1977), Fran Brown (1979), Barbara McCullough, Kay Yamashita, Iris Ishikuro, Phyllis Lei Furumoto (1979), Shinobu Saito (1980), Barbara Weber Ray, (1979) Beth Gray (1979), Paul Mitchell (1979), Rick Bockner (1980), Barbara Brown (1979), Wanja Twan (1979), George Araki (1979), Patricia Ewing, Ursula Baylow, Mary McFadyen. We looked at other Japanese schools and monasteries and we found in some of their founders Reiki discs on the level of Reiki master Ozunu but they do not keep tradition alive as in Tendai school. SASA: Founder: Jitsu Megumi gathered a lot of discs from others and tied them with his system of radiation in bones. SASA: Founder: Soga no Umako has nice disc on the burial site and in his disc are discs from others, radiation in bones. Tradition of Japanese samurais is not meditation spiritual tradition, but the tradition of samurai warriors. Reiki disc is in the burial site after death and such disc has forces as the disc of Mikao Usui. Thus the tradition of Reiki already performed by Japanese samurai and his sword made from meteorites. Unique environment for meditation. Collection of meteorites which may be well find in the desert. Isolation from the rest of the world. But also the flow of pilgrims and meditation individuals. Ideal conditions for deep meditation and spiritual technique linked on meteoric world. Meteorite is understood as negative meteorit that passed the atmoshphere and literally have burnt own structures. WIKI: They are treated as the basis of Chinese Reiki. According to local tradition in year 366 one of local monks had vision of thousands Buddhas and this inspired the initiation of excavating caves.The number of caves has climbed to more than one thousand. Reiki Chinese leaders of the past and their skeletal remains. Oracular considering whether they had Reiki disc in the middle of the chest and how they meditated. His skeletal remains contain many times bigger and brighter disc than the actual Reiki disc of Japanese Ozunu. He was as Reiki master carved from meteorite. His sculpture is created from pieces of meteorites folded together. We estimate that this statue is owned by Tendai school or its true copy or according this pattern made statue of Buddha in Tendai school. His skeletal remains contain many times bigger and brighter Reiki disc then Reiki disc of Japanese Ozunu. He was as Reiki master carved from meteorite. He meditated on meteoric glass from desert. And his statue was made of grinded meteorites and meteoric glass. WIKI: 711-782 from China, Tang dynasty Tendai monks. His skeletal remains contain many times bigger and brighter Reiki disc then the disc of Japanese Ozunu. He was as Reiki master carved from meteorite. They made his statue from small meteorites and created internal organs in this statue. WIKI: 672-753 China, Tendai monk. His skeletal remains contain many times bigger and brighter Reiki disc then the disc of Japanese Ozunu. His statue was created from small meteorites interconnected by clay. WIKI: He does not have an article on wikipedia. His skeletal remains contain many times bigger and brighter Reiki disc then the disc of Japanese Ozunu. It was carved a number of his sculptures from meteorites which were transmitted in neighboring Buddhist monasteries. WIKI: Year unknown, Chinese Tang era of esoteric Buddhism. His skeletal remains contain many times bigger and brighter Reiki disc then the disc of Japanese Ozunu. After death, he was filled up with huge number of smaller meteorites. WIKI: 683-727 is China’s Tang Dynasty in Munich. His skeletal remains contain many times bigger and brighter Reiki disc then the disc of Japanese Ozunu. He was as Reiki Master carved from a meteorite as a statue and in multi-storey caves he built something like a tree from meteorites that have several floors. And we suppose this can be called a tree Bodhisattva. This is peak in Diamond Sutra. WIKI: 705-774 is high priest of the Tang Dynasty. Actively open bones and open mind inside bones and thus something like a Zen Buddha. 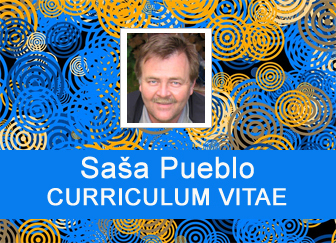 He is not characterized by Reiki disc but highly active bone brain and extraordinary memory and thinking. He does not have well-developed Reiki disc in his burial place. WIKI: 651-739 Tang Dynasty, Zen Buddhist monk. His skeletal remains contain many times bigger and brighter Reiki disc then the disc of Japanese Ozunu. It was like Reiki master carved from a meteorite. He was great as he revived in himself the statue of his master carved out of a meteorite which is a unique approach. WIKI: 637-735 was an important Indian Buddhist monk and master of Esoteric Buddhism. WIKI: 669-741 was an Indian Buddhist monk and esoteric Buddhist teacher. His skeletal remains contain many times bigger and brighter Reiki disc then the disc of Japanese Ozunu. He meditated throughout his life in room lined with meteorites. WIKI: 606 -706 was one of the most influential Chan masters of his time, the Patriarch of the East Mountain – teaching Chan Buddhism. His skeletal remains contain many times bigger and brighter Reiki disc then the disc of Japanese Ozunu. His grave is in cave systems buried in a huge number of meteorites. WIKI: 602-675 was the fifth patriarch of Chan Buddhism. Actively open bones and open mind inside bones and thus something like a Zen Buddha, is not characterized by Reiki disc but highly active bone brain and extraordinary memory and thinking. He does not have well-developed Reiki disc in his burial place. WIKI: 638-689 was a prominent Buddhist monk during the Tang Dynasty in China. Actively open bones and bone mind inside them and thus something like a Zen Buddha who is characterised not by Reiki discs but highly active bone brain and extraordinary memory and thinking. He does not have well developed Reiki disc in burrial place. WIKI: 638-713 was a Buddhist monk who is one of the most important figures of Chan Buddhism. WIKI: 580-651 Chinese Chan master, the fourth patriarch of Chan Buddhism. His skeletal remains contain many times bigger and brighter Reiki disc then the disc of Japanese Ozunu. He was like Reiki master carved from meteorite. WIKI: 561-632 China Tendai monk. WIKI: 487-593 is the second patriarch of Chan – Buddhism in China. WIKI: 538-597 traditionally referred to as the fourth patriarch, but is generally regarded as the founder of the Tiantai tradition of Buddhism in China. His skeletal remains contain many times bigger and brighter Reiki disc then the disc of Japanese Ozunu. He worshiped statues of his masters carved and sanded from meteorite. WIKI: 515-577 was a significant Chinese Buddhist monk, traditionally regarded as the third patriarch of the Tiantai. WIKI: 550 – He is considered the first patriarch of Chinese Buddhist Tiantai school. WIKI: He was the first Buddhist missionary in China and first known translator of Indian Buddhist texts into Chinese. According to legend, he was the Prince of Parthia, he gave up his royal throne of Parthia in order to to serve as a Buddhist missionary monk in China. WIKI: He was born around the year 147 AD, was the first known Buddhist monk, he translated Mahayana Sutra into Chinese and he is an important figure in Chinese Buddhism. WIKI: Zhi Yao (c. 185), a Kushan monk, second generation of translators after Lokaksema. WIKI: was a Chinese Buddhist monk Yuezhi origin who translated a wide range of Indo-Buddhist scriptures into Chinese. WIKI: He was a Buddhist monk and translator for three kingdoms of ancient China. WIKI: Dharmaraksa was one of the most important translators of Mahayana Buddhist sutras into Chinese, some of which had a profound influence on East Asia Buddhism. WIKI: He was a Buddhist monk, scholar and translator. He is known mainly due to his translations of Buddhist texts written in Sanskrit into Chinese. WIKI: He was a Buddhist monk from Kucha. He studied in Kashmir, he came to Luoyang in 310 and was active in spread of Buddhism in China. WIKI: He was an Indian Buddhist monk, according to tradition southern Indian prince who like Buddha gave up luxurious worldly life. He was the last Indian patriarch of Zen (Chinese cchan) who this teaching has brought to China. Actively open bones and bone mind inside them and thus something like Zen Buddha who is characterised not by Reiki discs but highly active bone brain and extraordinary memory and thinking. He does not have well developed Reiki disc in burrial place. WIKI: He was a Buddhist monk of Gandhara in today’s Pakistan who traveled to China. He brought about 260 sutras in Sanskrit and was supported by Chinese emperor in their translation into Chinese. WIKI: He was renowned Chinese Buddhist monk, scholar, traveler and translator who lived in Chinese Tang Dynasty.